A man from Frimley in Surrey is set to scale new heights as a way to raise money for the charity Help for Heroes. Tim Price-Bowen, who has previously had other dealings with the charity and raising money for the good cause, is set to meet up with 24 other people in February in Tanzania as the group attempt to take their fundraising to a literal new level with a trip up Mount Kilimanjaro. Standing at 5,895 metres above sea level, Kilimanjaro is the highest mountain in Africa and the highest freestanding mountain in the whole world. Mr Price-Bowen told getSurrey that after years of joking about climbing the mountain, Help for Heroes challenged him to make his dream a reality and sign up for a charity trek. The driving instructor told the news source: “I’m raring to go actually. I thought I would be more concerned at this stage. “I know what to expect, and I’ve been training for about six months now. On a typical day, we’ll be up at 6.30am for an 8am start and walk for about eight hours a day covering maybe 10km to 15km. It doesn’t sound like much but once you get higher, it really is one step at a time, especially with a 15kg pack on your back." Previously, Mr Price-Bowen worked alongside his father Keith as they jointly organised the first ever Help for Heroes 4x4 European Rally, which is a 12-day trip across seven different countries and recreates the 1944/45 Allied invasion route. They had planned originally to raise £20,000 by inviting around 20 entrants for the rally, but only five years after they first began their venture, the father and son team have now managed to raise almost £150,000 for Help for Heroes. 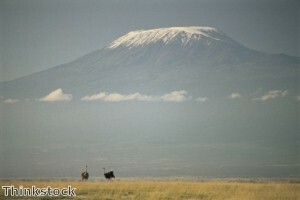 Mr Price-Bowen hopes that his trek up Kilimanjaro will bring him even more success, with a target of £5,000 being set.